After learning that children in elementary schools in California receive an average of 30 minutes to an hour a week of science instruction in school; discovering that many after school science programs are not accessible to all and are not facilitated effectively; learning how girls can start losing interest in science as early as elementary school; and finally, how greatly underrepresented females are in the country’s fastest growing, lucrative industries — science, technology, engineering and math (STEM), Tiffany Sprague and Courtenay Carr Heuer, mothers of young daughters, decided to do something about it. Through a grassroots effort, Tiffany and Courtenay, experienced professionals in nonprofit management, started Scientific Adventures for Girls (SAfG) to address these problems head on. They deem out of school time as a critical opportunity to spark, grow and sustain interest in these fields. 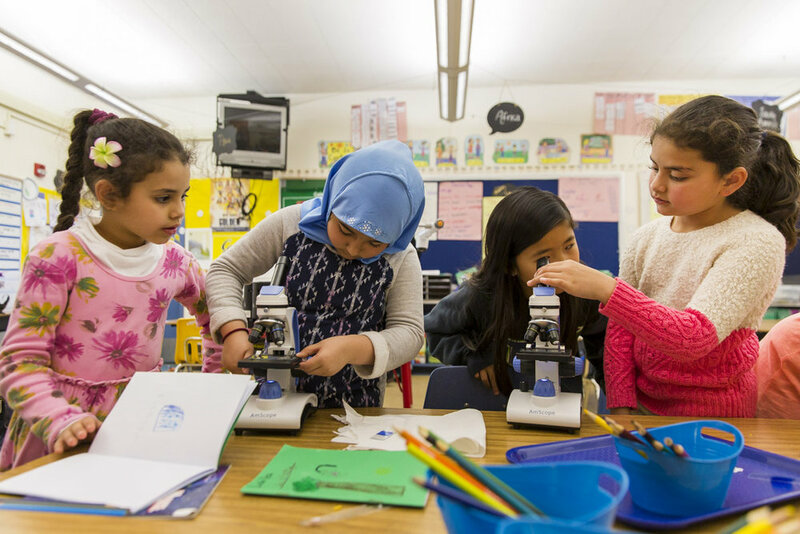 They especially think it is important to start engaging children as early as kindergarten in STEM to normalize the notion of girls loving and pursuing STEM. Tiffany and Courtenay envisioned a space for girls to develop their natural curiosity, intuition and creativity while learning practical skills and connecting them to real world applications through fun, hands on activities. They also envisioned classes intimately situated so the girls can practice asking questions, making predictions, experimenting and collaborating with peers in a supportive, vibrant environment. SAfG offer girls-only programs to provide this space for families who desire this unique experience. SAfG also provides co-educational classes in the library and camp settings. The challenge to close the gender and minority achievement gap is an all hands on deck effort and requires creating a new, balanced dynamic where boys and girls from all backgrounds can flourish alongside each other and have opportunities to collaborate and learn from one another in safe, respectful environment. The gender gap in STEM is related to differences in attitudes towards science rather than differences in math and scientific ability. Therefore, drawing from both academic research and our best proven practices, SAfG’s programs incorporate fun, hands-on learning that instill inventiveness and intuition while connecting those qualities to the science and math lessons taught in the classroom. Our classes prioritize learning practical skills and applying them creatively. We want students to not only understand content, but also have tools for applying that understanding using certain habits of mind that are cultivated in the "doing" of science. 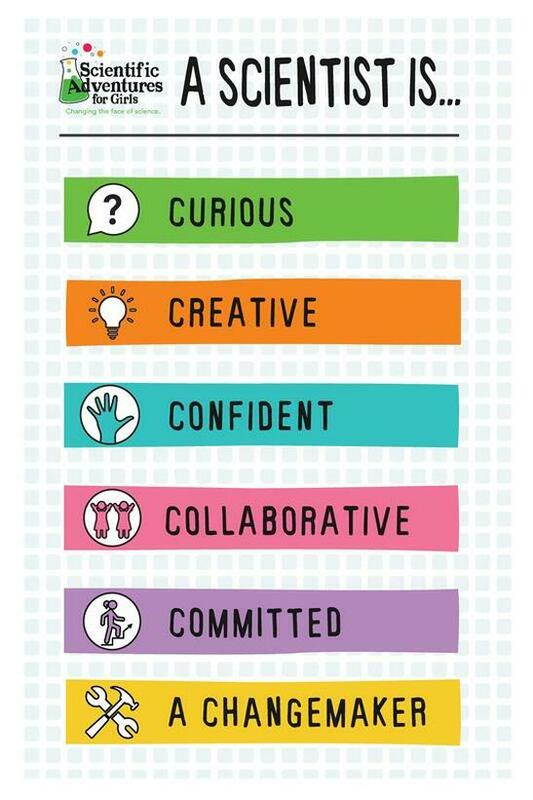 Our teachers use the "6 C's of Being a Scientist" framework to guide each class: Curious, Creative, Confident, Collaborative, Committed and Changemaker. These characteristics are key anchors for teachers to reference students back to when approaching projects and support explicit instruction around these practices. SAfG firmly believes the challenge to close the gender and minority achievement gap is an all hands on deck effort which must include inputs from every stakeholder invested in this call to action: families, school districts, teachers, after school program agencies, policymakers, corporations, public libraries, museums, etc. SAfG strives to connect with all players in the community to maximize resources and therefore impact. SAfG works with families to expose opportunities to STEM events and STEM careers; with school districts to help bolster their schools' science education and to help provide professional development to their science teachers; with after school agencies to add a high-quality STEM component to their curriculum; with corporations to provide opportunities for their employees to volunteer in SAfG classes as role models in STEM; with public libraries to add high-quality STEM components to their programming; with politicians to advise on what STEM education needs on a community and elementary school levels; and with universities to help prepare future elementary science teachers by providing on-the-job training opportunities in SAfG classes. The gender and minority gap in STEM is still wide and cannot be closed by a few organizations alone. SAfG thrives on making new partnerships and maintaining strong relationships to get the job done.